The Experience: I joined the competition first, and send my entries, I did multiple submissions as I am testing and taking notes on the system for my Ph.D. research. 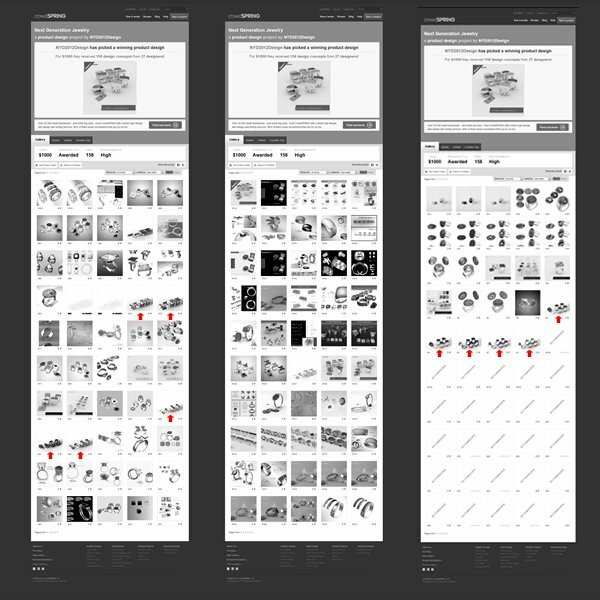 The crowdspring platform is very user friendly and is really easy to use, and submitting designs is easy too. Given that, I did several designs fast and submitted them. However, little that I know was that there could be some people copying my submissions, and some blatantly (of course this is my personal view). Not only my designs, but designs of everyone was copied (again my personal view), and it is a case of copyright infringement at the uttermost level (everything is my personal view, I will not write it again); almost everyone did idea theft because the system was designed to encourage stealing from other designers in order to do the best design and to satisfy the organizers hunger for designs. Idea theft to a level was indeed expected and here is why: If you let people see the designs of other participants while the competition is still open for submissions, you are letting people copy each other. Of course, self-respecting designers will not do that. 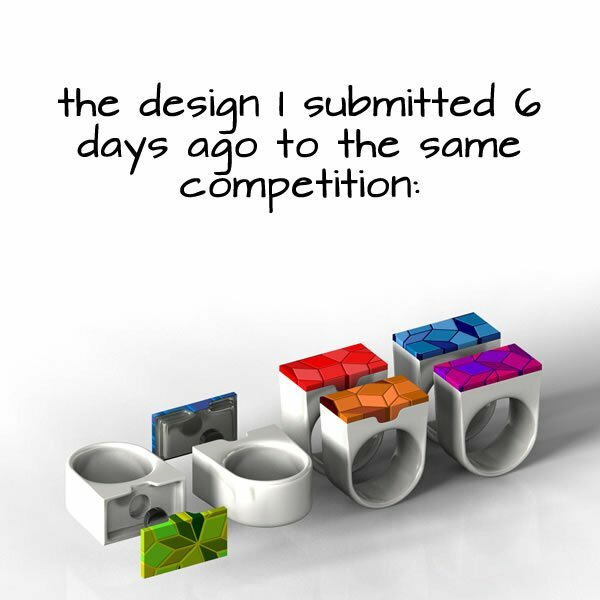 However, when you also start scoring the submitted designs while the design contest is still on; and also allowing others to see scores, and also by letting the organizer or sponsor of the competition to communicate with the designers by giving direct feedbacks through close communication or suggestive directions, you are not only letting designers copy each other’s work but you are also encouraging them. Given all, I personally think the platform is not designed in a way that respect designers. Below see the gallery of the competition. How did my entries get copied? My entries were not copied at first, what was copied was the way to present my designs; it can happen I believe and is not a big case. For all my submissions, I did a presentation with a design of the ring showing different color options and an explosion view of one of the designs. It is interesting to note that designers, who later joined the competition, followed my initial presentation. 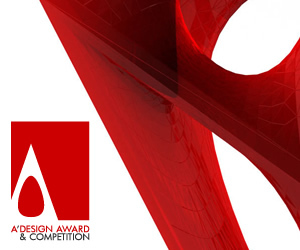 For graphics design competitions, presentations are usually limited; i.e. a 2D image is an image, but for industrial design presentations, there are million different ways; you can chose different angles, use different light settings and render in different ways, so I will say that my presentation got heavily inspired. Later, secondly, my idea of using a magnet to attach the ring head to have a customizable ring was stolen; I say stolen because using a magnet was not in the design brief, it is idea theft because in the brief it was stated as “The patent protected fixing device is cylinder shaped measuring 1mm height, 5mm diameter. There is one device in both the mount and the head, facing to each other.” And I thought instead of such new device, using an existing solution such as a magnet would be more economically feasible; instead of a custom device. That is what people did, many designers also included this idea in their presentations. 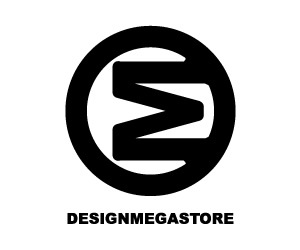 Now, you might say that actually anyone could think of this idea perhaps, and is true, but as a designer normally if you my magnet idea as an already submitted idea, you would not do the same as a self-respecting designer right? You would try to come up with a different solution, because it would appear as if you stole my designs. Anyway to continue, after my fifth submission (the first 5 submissions), almost everyone was submitting designs with my magnet idea, and also using a way of presentation that is very similar to mine. My presentation and magnet idea became the best practice in the contest. 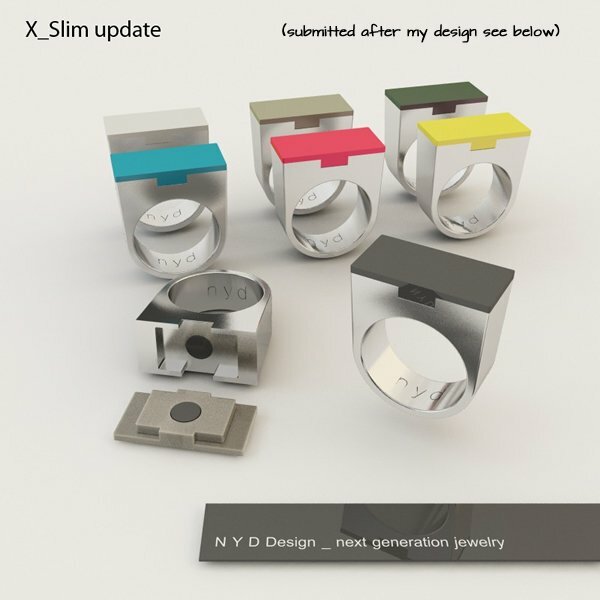 Still for me everything is acceptable, it was expected as the platform is designed in a way that designers can see each other’s designs; and to get inspired from clever ideas. However, I believe the problem is when your style and design form is stolen or to say, provides too much inspiration to others, if this happens in a design competition, I would consider this is a serious case. Here I would like to demonstrate by proof. I consider this as blatant idea theft, but the panel of crowdspring which arbitrated my entry does not, Here I would like to demonstrate it. The following is the entry of the winning contestant, as you can see, the date is written as 26 December 2011, 3.20 p.m. CET (Central Eastern Time). The entry below is mine, made 20 December 2011, 1:21 a.m. CET. Do you think they are similar or do they look similar, or do you think the other designer copied my design? 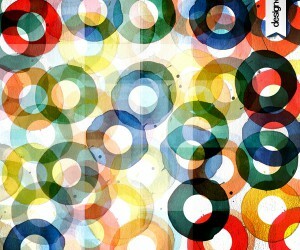 My personal opinion is that the other designer copied my design. Another issue. I had submitted this design the last day; because I know that it could have been copied if I submitted earlier, as I think the design is rather good. However, expected unexpected happened: the competition deadline extended. 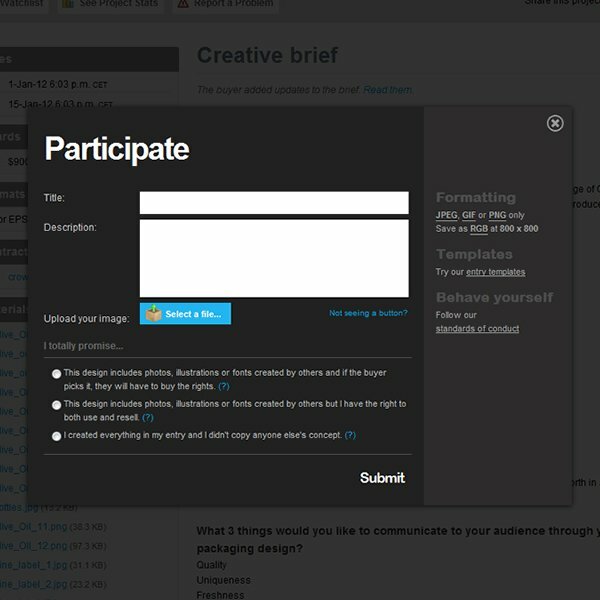 Deadline extensions are terrible for these kind of design contests, because many designers submit their designs to the competition last minute, in order that nobody can have time to copy their designs, by extending the deadline you are passively encouraging designers to copy each other’s work. 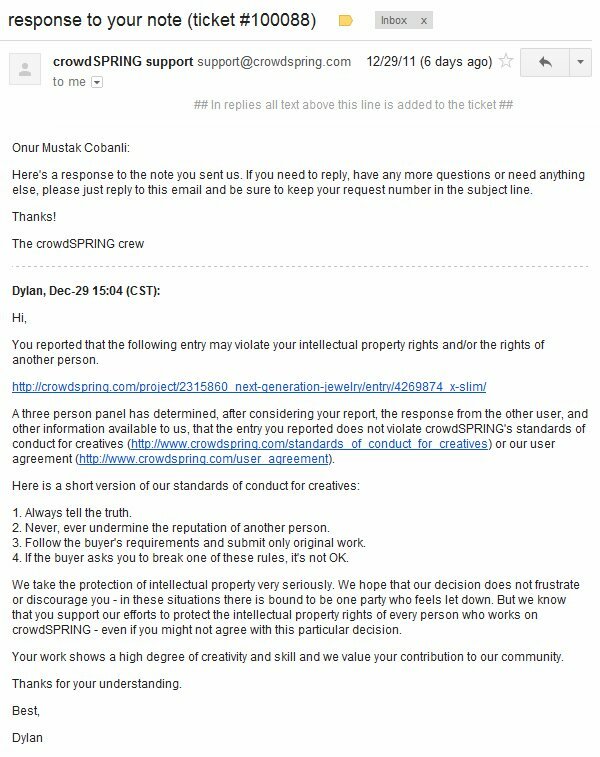 The crowdspring features an option to report mischief, you can report if something is wrong with the competition, I sincerely believe that this is a great option however the interesting think to note is that the options are limited to “Buyer is asking for too much work”, “Requested work is inappropriate for this category” or “Other” while you would expect to see “Report a Design Theft” in the common choices as this is a common case. Later I figured that you could also report single design submissions or entries, again there is not an option to report “Design Theft”, there are the following options: “It's offensive”, “It's a violation of copyright.”, “It's otherwise inappropriate.”, now what crowdspring regards copyright is perhaps the copyright of not your designs submissions; but rather the copyright of any other work; i.e. 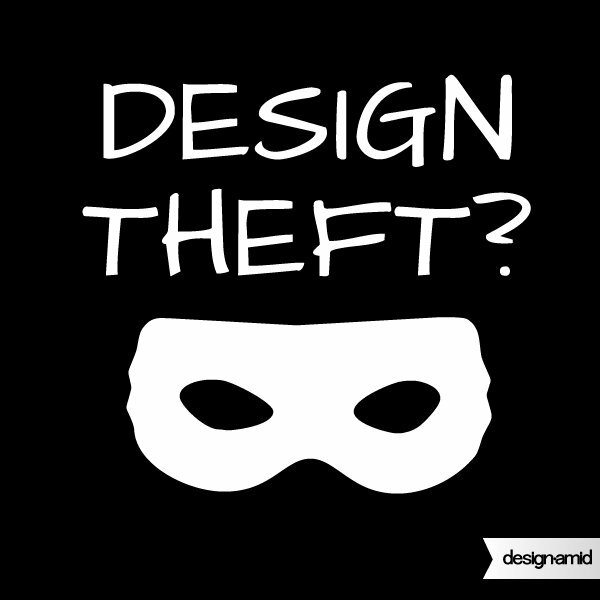 if you choose “It's a violation of copyright.” option while reporting it probably means the design features copyrighted elements from big names or other brands that could potentially create problems for the organizer, however there is not an option to report “design theft”. In this case, I am inclined to think that the "reporting" function was designed not to protect designers; but indeed to protect the organizer so that designers could point out blatant copyright thieves that steal for example stock images, brand logos etc. Anyways, I did a report for my design, and it is interesting to note several issues, first, crowdspring was responsive; they sent me an update; second when I wanted to access my report, it was unable to be viewed online and a copy of my claim was not attached to their response, therefore I actually am not sure if they indeed checked my design or if the claims are stored in a database or not. In the email I received, it is stated that a panel of 3 people checked my design but there are not any feedbacks or reasons provided other than stating it is not copied. Given two designs, one my design, and the second the design by another designer submitted 6 days after my design, I let you to make the final judgment. 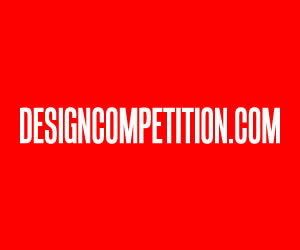 Disclosure: I am currently writing a Ph.D. thesis on design competitions and contests and therefore, I am joining the online design competition and contest platforms to test their services, both as a user and as a participant. I am using an empirical research method in this process; I participate in the competitions and record my experience. 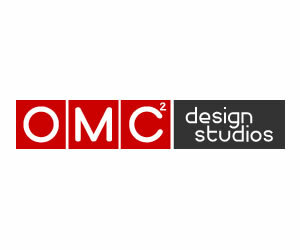 Please help my design research by sending me your feedbacks and experience: If you have similar experience with designs contests, please do contact me at omcdesign@gmail.com so that I could include them in my final report, and I could also publish them. Please be reminded not to use an offensive or harsh language, as it will be academically published, and also try to provide evidence by attaching screen shots etc, without evidence your claims can potentially hurt the reputation of the fair design competition organizers, and that is why I am publishing my evidence today. To be fair and to prove my side of the story, I have posted images of other submitted designs and gallery page and the platform itself in low resolution, with the sole purpose of providing evidence for my claims, and I sincerely believe my actions falls under fair use. As you will see I am not making any final judgment on the subject, and I am open to responses. I am just telling my side of the story, and you should definitely consult with crowdspring and the organizer for further comments. 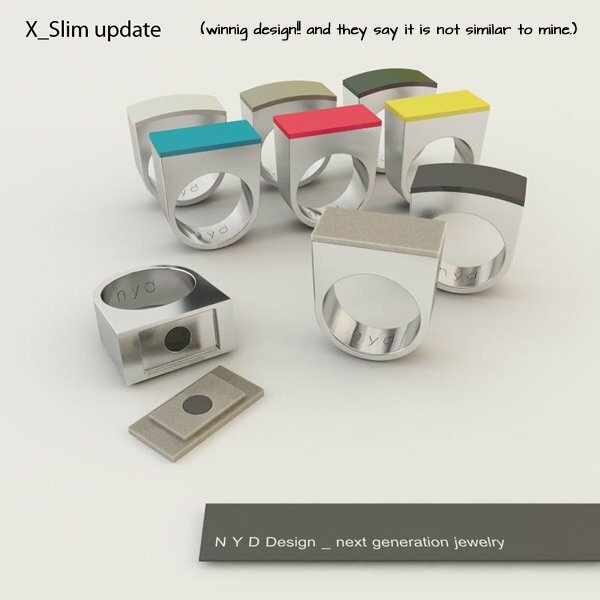 This article was added on Monday, 27th of January, 2014 at 05.44 am by author Onur Cobanli Tags: design theft, crowdspring, design contests, design contest issues, design competition problems, idea theft. Read our copyright policy here.